video: "Banana Hobby OFFICIAL 2011 Commercial in HD!" On December 6th, there is a local traditional fete where kids are receiving gift and toys. We are a little bit in advance on the schedule. What can we hope ? Banana Hobby OFFICIAL 2011 Commercial in HD! video: "hélicoptère Dynali en kit"
Aircraft & helicopter developed and manufactured in Belgium are very rare. 100.000 Euros un rêve qui devient réalité pour certain...!! video: "construction of a nieuport 28.avi"
The Belgian Air Force mission in Greece departed from Araxos air base on 21 November (rather late, as the NATO-led mission in Libya ended on October 31), thus ending its participation in the operation Unified Protector. Click on pic to follow the link. Video: "Sabena Douglas DC-7C-"Seven Seas"-7/11/60"
Without question, the "7C" was the most handsome & regal of all the reciprocating "Dougs", and Sabena's gorgeous livery always lent itself well to the airplane's beautiful & stately lines. I join to you monthly magazine from Anciens Aérodromes association. Philippe Veys collaborated with many newspapers before World War 2 and collected documents about aviation. The Belgian Aviation History Library was selected for her capability to convert great quantities of paper to digital archives permitting easy access and the diffusion of this collection, the result of many years of hard labor of an Aviation Enthusiast. 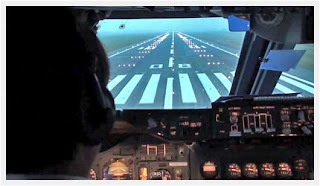 It's an excellent cockpit view (shot from the jump-seat) of an older 747-200 taking off on runway 08 at the Ostend Belgium airport at or very near max takeoff weight. I highly recommend you watch this video, and that you do so in the 720p HD setting and in full screen... you'll feel like you're right there with the crew! 371 ton take-off from RWY 08 Ostend. V1 164kts, Vr 176, V2 186kts. The aircraft gets airborne with approximately 800m of runway remaining. Shot from the jump-seat. 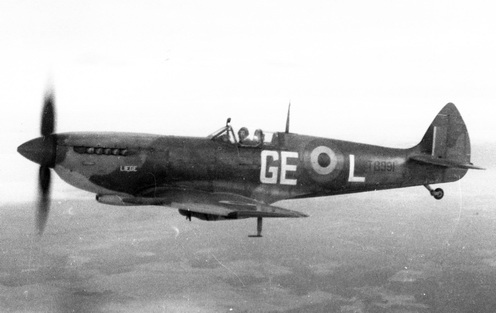 A new Datafile is on line on the Belgian Wings reference website this time it covers the first Belgian post-war fighter: the Supermarine Spitfire LF.16. video: "Beijing Aviation Museum 2009"
Que sont devenus les avions Sabena ? Last book of Eric Mombeek "The Abbeville Boys"